The number of sexual assault reports at UNC has increased after the university changed the way it responds to sexual assault. Meeting graduation requirements is more difficult for transfer students. UNC researchers use a new app to study postpartum depression. A local band tries to capture “homegrown freedom” in their folk and bluegrass music. Seniors look back at their years at Carolina. UNC’s policy includes a more specific definition of “consent” and a new hearing board that investigates sexual assault reports. The UNC Survivors’ Assistance Fund assists students with the many costs related to sexual assault. While traditional four-year students have a 90 percent graduation rate, only 70 percent of transfers graduate on time. 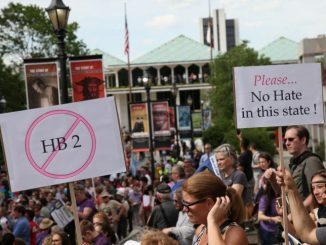 While the state’s new discrimination law sparked demonstrations at the General Assembly this week, legislators might stick to less controversial issues during its 2016 session. In spring, the Old Well becomes a popular place to snap a selfie or graduation photo. That means hour-long lines for some local photographers. 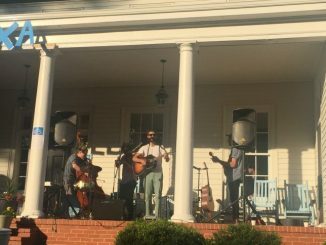 Local band Look Homeward tries to capture the feeling of “homegrown freedom” through their folk and bluegrass music. As the school year comes to a close, we recognize those seniors who worked with Carolina Connection during their time at UNC. 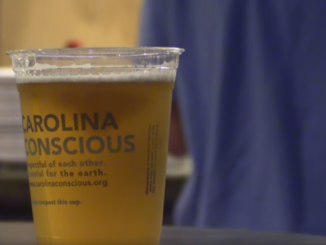 They tell us why Carolina is such an important place. Public libraries nationwide charge for late book returns, but fees are turning away some users who cannot afford the fines. At the Chapel Hill Public Library, keeping fees low and maintaining affordability is a high priority. Both the football and men’s basketball team achieved great things this season. Take a look back at some of the sounds of those seasons, from phantom offside calls to buzzer-beaters!